Treasure Hunter's Garb - Light Armor Mashup You only need the textures and meshes. Patched the .esp of the wonderful original mod to make it compatible with Enderal by altering every piece of armor in TES5Edit. Please endorse the original mod! 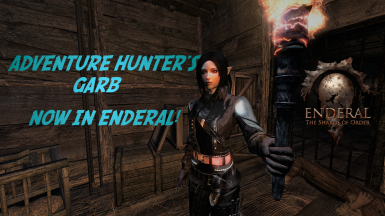 How to get the armor pieces in Enderal, in four simple steps. Step 4: Enjoy, and don't forget to endorse the original mod. This patch has been made possible by the TESVEdit Tool.